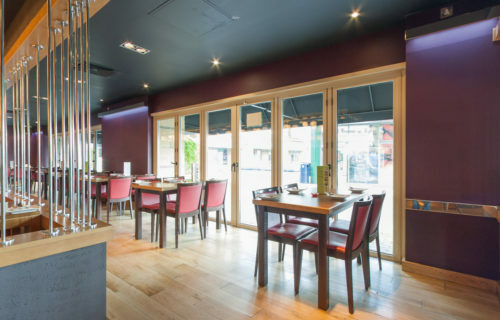 Oodles n’Oodles offers casual pan-Asian dining in a modern, open-plan environment. 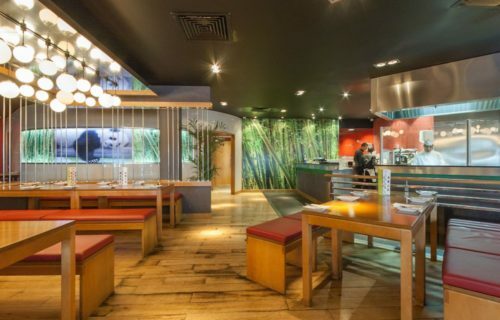 All our food is freshly cooked in the open plan kitchen. 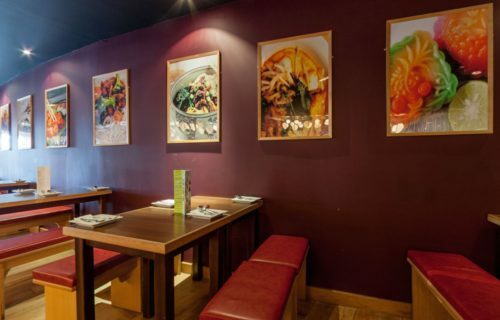 Panda prints on the wall provide the oriental flavour to complement a menu that encompasses plenty of rice and wet and fried noodles dishes from China, Japan and Southeast Asia. There are also hot and cold oriental desserts as well as mocktails, smoothies, soft drinks and iced coffees. 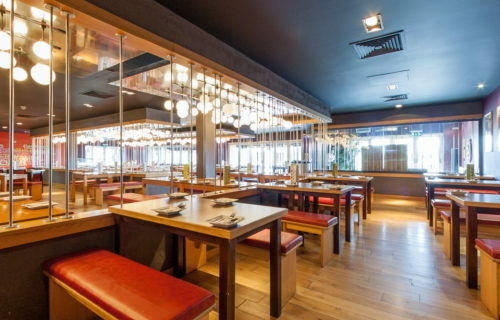 There’s room for 200 diners including semi-private booths with a funky cage feel.